Cosmedica Skincare is a company that creates very good quality skincare products with natural and organic ingredients. This is also attested by their numerous customers who always mention about the reliability of the company and the great line of skincare products the company offers in their reviews. In this review, I will try to make it a bit easier for you to understand what Cosmedica Skincare Multi-Active Hydrating Cream is about and whether it can be a good choice for your skin. The main advantage of this cream is hydration. By hydrating and nourishing the skin, it claims to boost collagen and offer anti aging effects. The key ingredients that will provide deep hydration are, according to the company, hyaluronic acid, organic aloe vera leaf juice, cucumber extract, jojoba oil and others. What are the Strong Points of this Cream? 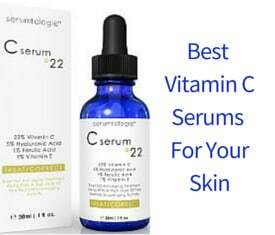 For an antioxidant effect, the main ingredients are vitamins C (5%) and E, Coenzyme Q10, rosehip oil and green tea whereas mild exfoliation results for a brighter complexion can be achieved with Glycolic Acid, lactic acid, sugar cane and Vitamin C.
The company´s claims about their product is deep hydration and nourishment, healthier complexion to be able to cope with age spots, discoloration, sun spots and other environmental damage better as well as a plumper and rejuvenated skin. The company recommends this product for all types of skin and says that it is safe to be used both in the morning and at night but suggests that for sensitive types of skin it is better to be used only at night. According to the company, Cosmedica Skincare Hydrating Cream is a gentle formula that can effectively hydrate your skin. The gentleness of the product can be attested by having a quick look at the full list of ingredients. First ingredients in the list are organic herbal infusion, organic aloe vera leaf juice, sunflower oil, glycerine, coconut oil and squalane which is rich in antioxidants. In fact, after checking on the full ingredients list, I must say that this cream contains too many ingredients. Some of them that do not appear necessarily in the beginning of the list and I have not mentioned in the previous section of the review but have drawn my attention are MSM, Cocoa Butter, beeswax (which is a comedogenic ingredient) grapeseed oil, camellia oil, avocado oil, Tamanu Oil, Evening Primrose Oil, Vitamin B5, Macadamia Nut Oil, Chamomile, Calendula and others. What Do Users Review about Cosmedica Hydrating Cream? Users are very satisfied with the quality and effectiveness of the product regarding the hydrating results. They find it a rich and some people describe it as thick moisturizer which does not feel greasy or oily. Some users report considerable improvement in the appearance of fine lines and the suppleness of their skin but a few others like this product more for its moisturizing effect and not so much for its effectiveness in dealing with fine lines. They also like the fact that this is a sensitive skin cream which is also good for minimizing uneven skin tone, combating dullness and making skin softer. Overall, people’s reviews agree on the above pros I have presented, with the only controversial feature of this cream being its smell. 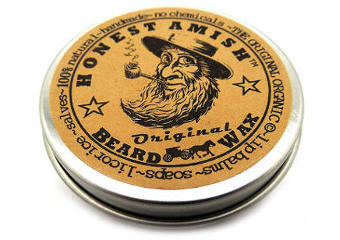 So, while some users find it lacks smell or it has a mild smell, few others find that it has a strange smell. People with dry skin are pleased with this moisturizing cream and there are some users who like combining it with Cosmedica Skincare Hyaluronic Acid Serum. 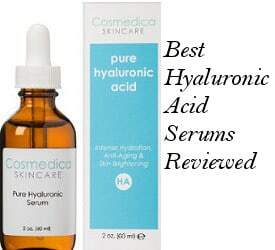 You can find more about this serum in our Hyaluronic Acid Serum Review. 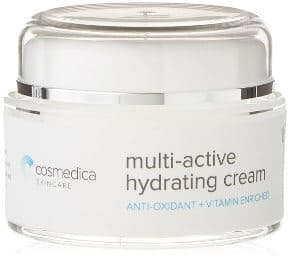 After reviewing Cosmedica Skincare Multi-Active Hydrating Cream, I can say that this looks like a good quality moisturizing cream that you can use both in the morning and at night. It includes some anti aging ingredients although not in the top of the list and some nice natural and organic components. Although it might not offer you a strong anti aging effect, it can surely improve the hydration levels of your skin and make it more healthy looking. The product is followed by a 30 day unconditional return policy and backed by the service of a reputable company which is Cosmedica Skincare.